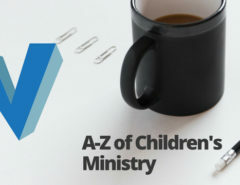 **Originally in 2010 I completed an epic quest to write an A-Z of Children’s ministry, Now because of the epic fail detailed on an earlier blog post I am reposting an updated 2018 version! X is for Xenagogue – From Greek, to lead, leading; bring, take; plus a “guest” or stranger. A reference to someone who conducts strangers or foreigners; a tour guide. The tour guide is a brilliant description of your mission as a minister to children. Your job is to give them a tour of the Kingdom of God, show them the sights, the sounds and the places that make up this diverse and mysterious universe. A world that is often opposite to what we know. Where up is down, the first are last, and when you give you receive. But unlike the all knowing New York local on the top of a red double decker bus, you are here to learn as well. In fact, sometimes will be operating as a reverse tour guide, learning more than teaching and experiencing more than describing, because if we are not like little children we cannot inherit the very thing we are showing. So go forth you Xenagogue and I will see you later, the tour will stop for a manna lunch in the wilderness. 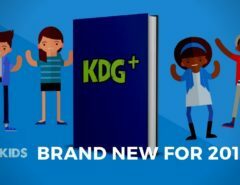 X is for Xenagogue – Dave Wakerley on It all got deleted! W is for Welcome – Dave Wakerley on It all got deleted! V is for Visual – Dave Wakerley on It all got deleted! Caleb Naidoo on But I have a full time job!? Copyright © 2017 Dave Wakerley under license from the kingdom.